$32,999 x 96 Months @ 4.29% APR (estimated financing rate, cost of borrowing $6,735). $0 down payment. Taxes included. The functional nature of the all new Jeep Compass is exactly what you would expect from such an impressive compact SUV. This white clear coat SUV has a 9 speed auto transmission and is powered by a 180HP 2.4L 4 Cylinder Engine. Our Compass's trim level is Sport. This Compass Sport offers an incredible list of standard features, they include Apple CarPlay and Android Auto, UConnect 4 multimedia interface with a 7 inch colour touch screen, dual zone climate control, Bluetooth audio streaming and push button start. You will also get 60/40 split rear seat, power front windows, steering wheel mounted audio and cruise control, remote keyless entry and even Parkview - rear view camera! This vehicle has been upgraded with the following features: 2gt Customer Preferred Package. View the original window sticker for this vehicle with this url http://www.chrysler.com/hostd/windowsticker/getWindowStickerPdf.do?vin=3C4NJDAB0KT729387. Total rebate of $2675 is reflected in the price. Credit includes up to 7.5% of MSRP Discount. 4.29% financing for 96 months. Buy this vehicle now for the lowest bi-weekly payment of $210.06 with $0 down for 96 months @ 4.29% APR O.A.C. ( taxes included, Plus applicable fees ). Incentives expire 2019-04-30. See dealer for details. * Every reasonable effort is made to ensure the accuracy of the information listed above. 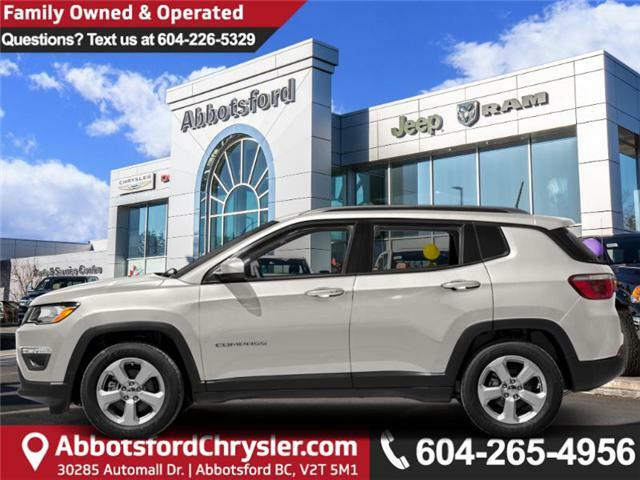 Vehicle pricing, incentives, options (including standard equipment), and technical specifications listed is for the 2019 Jeep Compass Sport may not match the exact vehicle displayed. Please confirm with a sales representative the accuracy of this information.